UPDATE: since my recommended on-page SEO plugin, Easy WP SEO, is no longer supported by the developer, I went back to using Yoast SEO. Turned out to be a good thing. Yoast SEO plugin is getting more and more robust, and it’s still absolutely free. Until a couple of weeks ago, I didn’t think I did.  After all, I am the resident expert on all things SEO at Traffic Generation Café. I can do my own on-page SEO just fine, thank you very much. Make sure your title, description, H tags, alt tags have your main keyword in them, slap a few more keywords in the content body, and you are all set! Then I got to publish a guest post at Ileane Smith’s BasicBlogTips.com and noticed that she was using SEO Pressor, one of those on page SEO plugins that I’ve been snubbing for such a long time. I also realized another thing that definitely brought me back to earth, right where I belong. Even though Ileane runs a multi-author blog (which makes it even more difficult to get high search engine rankings on Google since getting your guest authors to optimize the content for specific keywords is a nightmare), she was spanking me in the search engine rankings. Ileane’s stats are twice as good across the board. Of course, on page SEO is not the only thing that makes a difference here: there are links, social media signals, etc. (learn more about all 200 Google ranking signals here). However, on page SEO IS extremely important for better rankings, and using an on page SEO plugin (SEO Pressor in her case) was what did the trick for Ileane and BasicBlogTips.com. And off I went on a quest to “get me some of that” – a great on page SEO plugin to help me pull my rankings up. On Page SEO: What’s Important? Let’s take a step back and talk about on page SEO for a second. After all, it helps to know what on page SEO is to figure out what makes the best on page SEO plugin the best, right? On page SEO is what tells search engine bots what your page is about. Bots are not humans. They aren’t capable of deductive reasoning. Thus you need to spell it out for them what your page is about for the light bulb to go in their little bot heads. You can learn more about how Google works here. So how do we make it perfectly clear to the bots what our page is all about? Learn more about slugs: What is a Slug? WordPress turns your post title into an H1 tag automatically. Most themes do as well, so you shouldn’t have to worry about it; just add your main keyword to it and you are good to go. These heading tags help you to organize your content better for human readers, as well as emphasize your keywords. Always add images to your posts – with proper titles and alt tag with related keywords in them. Use those on page SEO elements to emphasize your keywords. Just remember you are writing for humans first and foremost; don’t sacrifice the quality of your content for the sake of a higher score in your on page SEO plugin. Yes, both are extremely important for your on page SEO. Use your main or related keywords as anchor text. Your meta title, meta description, and meta keywords describe your post to the search engines, that in turn describe it to the search engine users. That’s your meta title, and it’s not the same as your post title. I’d explain more, but then I’d have to make this post 4,000 words long, instead of my usual 2,000. You can learn more about metadata in this post. Again, this is your description of what your post is about. These are not seen by humans at all; they were created for the sole purpose of tricking the bots into ranking your site for whatever keywords you wanted. That’s why, and rightfully so, search engines stopped paying attention to them. You can still add your main keywords to meta keywords section, if it makes you feel better – no harm will come to you, I promise. Metadata is extremely important to your on page SEO, plus that’s what your potential visitors will see in the search engine results. You can learn about maximizing your metadata and ensuring that your search engine results will actually get clicked in my free website traffic report. Keyword density refers to how often you use your main keyword on a page. It needs to be often enough to make it clear to search engine bots what your post is about, but not too much as to appear like you are doing keyword stuffing. Generally, I stick with 2% keyword density. 2% is like being a wolf in a sheep’s clothing: cuddly, but dangerous. 4% (which is what some on page SEO plugins recommend) is being a wolf – too much. 1% is being a sheep – too little. On Page SEO Plugins: What’s Important? Personally, I do much better with fewer choices. Don’t give me 10 choices. I’ll end up being too overwhelmed and do nothing. Give me two choices and I might actually end up going for one of them. And so it was with on page SEO plugins. Too many choices. Only one can be your pick for the best wordress seo plugin. What should you look for when deciding on which on page SEO plugin is best for YOUR blog? There are only that many features you need to maximize your on page SEO. All the extras just make it look like that on page SEO plugin has more value than others, but more is not better in this case. Why overpay for the name if a lesser known on page SEO plugin offers the same and more? Some on page SEO plugin, like most Wordress plugins, are more server-intensive than other. They need to run in the background at all times to keep some of the features active – that’s fancy for “they’ll slow down your blog for no good reason“. Ideally, I’d like to have an on page SEO plugin that I can activate when I need to analyze and optimize a post and turn off when I don’t need it. There’s a bonus to some on page SEO plugins: they have additional functions that might replace some of your existing plugins. In other words, if you can replace three existing plugins that clutter your blog with one on page SEO plugin to do the job of the three, you’d be all for that, right? As I mentioned, there are many. If you are in the mood to spend hours analyzing them, looking at all the features, etc., this might not be a good post for that. I could recommend checking out this post to give you more options and opinions. Personally, after doing all the research I am between the following two: SEO Pressor and Easy WP SEO. Covers all on page SEO elements you need to be aware of. You can turn off automatic settings, which I highly recommend you do – do all your on page SEO by hand. If you DO like automatic settings, SEO Pressor has plenty, including automatic internal linking. You can include up to 3 keywords per post (you don’t need more than that anyway). Suggests LSI keywords (keywords that are related to your main keyword; you should use both your main and LSI keywords in your content). You can refresh the analysis without having to update the whole post. You can see/manage keywords for all posts in one convenient location. If you own a multi-author blog or simply publish a lot of posts by guest authors, then SEO Pressor is a great choice: you can allow (and require) your guest authors to optimize their posts. This will save you loads of time, and that’s how Ileane Smith stays on top of her Google rankings as well. Offers extra features, like Rich Snippets and Social SEO – I think you should use both on your blog, whether through SEO Pressor or another plugin. The price: $47 one-time for a single-site license and $97 for unlimited license. Doesn’t analyze entire pages like Easy WP SEO does; strictly your posts. It conflicted with at least one other plugin on my site – Thirsty Affiliates. Of course, it doesn’t mean that it will happen on your site, but it’s always good to keep in mind when introducing any new plugin to your site, not just an on page SEO plugin. Make sure it plays well with other kids. Speed is important, and every mili-second counts. You can import your on page SEO plugin keywords from other plugins, like SEO Pressor (a very smart feature to entice bloggers to switch). URL Analyzer: this is a feature that allows you to analyze entire pages, not just posts like most on page SEO plugins would do. Your post is strictly that – the content of your post. However, when a search engine bot crawls a page on your blog, your content per se is not the only thing that’s on the page. Each page of your blog also has sidebars, header, footer, and all kinds of other elements that dilute all the on page SEO you’ve done with your on page SEO plugin. For instance, I’ve got a lot of work to do with my on page SEO, if I ever want to rank Traffic Generation Café for the keyword “increase website traffic“. Recommended settings: if you are not very comfortable with choosing your own settings, Easy WP SEO makes it easy with recommended settings. There’s good and bad to it: it’s nice not to have to struggle with the settings, but you are relying on another person’s SEO expertise to make those kinds of recommendations. What if they don’t keep up with Google updates? You can also change some of the default values that affect the calculation of the on-page SEO score for posts and pages. For instance, if you don’t want Easy WP SEO to take H1 tags into account when calculating your SEO score, you can simply disable it. Not that you want to do that, of course. This feature can come in handy, but you can see how you can easily overdo it. If you start disabling values that affect your overall SEO score, then why buy a on page SEO plugin to begin with? Plenty of automatic settings as well. If you run an auto-blog (I hope not! ), you can automatically add your keywords. Ensure readability of your content by running it through different indice, like Flesch-Kincaid. Will pull images from your media library to use in the post. Basically, eliminates you having to click on “Add Media” button. If you have a Copyscape Premium account, you can add your credentials to Easy WP SEO. Since I don’t have one, I haven’t tested this feature. Can suggest related posts within your blog for easy internal linking. However, I am yet to get it to show any related posts. Generates a handy SEO report to give you a bird’s eye view of your post SEO. Price: very friendly at $37, multi-license upgrade is another $37. I have to update the post to refresh Easy WP SEO data. Couldn’t get some of the features to work for me. Will keep playing with it. Honestly, you’ll be fine with either one. Easy WP SEO is a bit less expensive, but does the job well and then some. SEO Pressor is a more established name among, thus has more perceived credibility. If that’s important, go for SEO Pressor. I’ll keep both on page SEO plugins for now. I’ll continue playing with them, get a better feel for one vs the other, and will write a more detailed review of each, including what settings I think are best. One thing is for sure: what I DON’T want you to do is nothing. If you can’t afford either one of the on page SEO plugins, doesn’t mean you are off the hook. Create a cheat sheet with important on page SEO factors and check every post you write against that list. IF you want better search engine rankings and more search engine traffic that is. If not, there’s no reason you need any on page SEO plugin. Google Author Rank: Are You Too Late? thanks for all this info. it seems that now SEOpressor analyse the whole page, not only the content of the post. If so, good for them! Thanks for letting me know, Laurent. Ahhhh…. so frustrating… Thanks for letting me know, Marcelo. For a laser-focused small niche, I might possibly agree with you. For the most part though, I’d say not true by a long shot. Nice rundown between the SEO plugins. I’ve retained my three year biases for Yoast for now. And today I added the last bit to the Yoast tool. Google News Sitemap will only be a matter of time (2-3weeks) and I’ll have my whole site indexed in Google News – fingers crossed…lol. It’s just another index that Google is using more to differentiate between the standard Google Index and a more narrower schema of articles. Looking at is as more of another avenue for exposure. first of all – I would like to say that all the posts on your blogs are superb. I really like your writing style. well coming to your post – I have one question – Can you recommend me any good Paid plugin for browser like SEO QUAKE , MOZBAR etc.. I am looking for premium browser plugin with more features as I have to work on sites and I can’t install these wordpress plugins. I don’t personally use any paid browser apps, and of course, there are so many of them with so many different features… You might have some digging around to do to find the one that best fits your needs. I am with you: you definitely need a dedicated on-page SEO plugin to do well; Yoast’s plugin is more of an overall SEO health check plugin. Yoast is a good plugin, as well as the ones I recommended in the post. Being an avid user of the Yoast SEO plug-in, I was surprised to find that it wasn’t in this post. However, looking back at the comment thread it is clear that plenty of site owners are using the plug-in. What I like about the plug-in is that it is how easy it is for people who are not SEO experts, so it works well for small business owners and independent marketing professionals. The reason I didn’t specifically talk about Yoast plugin, Nick, was because I don’t consider it a pure on page SEO plugin, Nick – more of an “overall site SEO” plugin. Easy WP SEO has a lot more options for optimizing pages for various keywords. Pleasure to see you in my neck of the woods! I’m using Easy WP SEO and Yoast SEO plugins to improve on page SEO. I love EASY WP SEO, it really helps to optimize a post according to some keywords. I use Google keywords tool and Google instant search to find out the relevant keywords for every article. Still using seo on page plugin help a lots …. That’s what I like about Easy WP SEO, Latief – I can turn it off when not using it to help speed up loading time. I seem to have a ‘love-leave’ relationship with on-page SEO plugins. I fell in love with Scribe (rather fell in love with what I thought it’d do for me), purchased it and then terminated my subscription before the trial period ended. Not saying it’s wasn’t worth it, just that I couldn’t get around to using it. Then, I *almost* hit the buy button for Easy WP SEO when I started to hear complaints about the LSI feature not working properly, lack of updates etc. So I let go. But, your post has piqued my interest in on-page plugins again. Think I will invest in Easy when I can afford it (looks like the glitches have been resolved). And hopefully this time show some more commitment! Here’s my feeling about on page SEO and any other plugin for that matter, Reeta – without Easy WP SEO, I KNOW I won’t do much about my on page SEO. With it, I at least stand a chance to remember to optimize my posts. Personally, I haven’t had any trouble with the plugin; it’s working plenty well for me. Thanks for the comment; hope to hear more from you! There lots of free On-page seo tool are their on internet. I have used many of them to re-check my on-page work. Sem rush is also a great tool but its not free. If someone want to use it then you have to pay some amount of money. I love SEMRush, but of course, it’s not that great for on page SEO. thanks Ana for your valuable reply. I shall check for your opinion and make the meta keyword and the focus keyword, both the same. Shall write to you if found any positives further! Ana, I too get overwealmed by the selection of SEO plugins there are to choose from and with everyone recommending something different it’s good to get your short list with all the pros and cons, conveniently avoided by many promoting paid plugins. I was surprised to see you mention bold, italic, underline as SEO tactics. I thought that was now ignored by Google. Sometimes we need to stop researching and make a decision, Sandy; that’s what I did when looking into different plugins. The text decorations might not make that much difference, but then again, they might. No one truly knows and I do see the logic behind it. I don’t do it much, but if it flows naturally with the post, I might use bold or italic font to make the keywords stand out to the bots. Of course it might be that Ileane’s blog is benefiting in other ways and it’s not the On Page “Optimising” at all. I guess you are going to go back over some old posts and tweak and track ’em – or at least that’s what I hope you’re going to do! Most of what I have hear and seen of SEOpressor has been so formulaic and OTT that the users were begging Google to whack them. It will certainly change my writing and blogging if this turns out well! Thanks for chasing this up and for being so very open! Of course, on page SEO is not the only difference between my blog and Ileane’s, Alex, but I am sure it’s a big part of it. On page SEO has to do with establishing relevance, which actually works well for both users and search engine bots, IMHO. My writing hasn’t changed much since I started pay more attention to it, yet I can already see the ranking difference on the few posts that I did optimize. Seems like a great plugin, must try once. Since the first step for seo should be on-page seo which can get traffic from real search results. And i never tried any plugin for on-page seo part from yoast plugin. You are very welcome, Sarvesh; let me know how it goes if you end up trying one. I am currently testing SEO Pressor as I really want to get more articles to show up better on Google’s Search. Thanks for the other options listed as well! Hopefully I can work on getting some better results in the SERPs! Much appreciated, Jason, and always a pleasure to see you come by! Hey Ana, long time no see!! Well, when it comes to on page SEO I don’t like to rely on these plugins. I think the majority of them leads to over-optimization and with all those updates I don’t think is worth the risk. Although, I have to admit that I still use the SEO plugin by Yoast sometimes. Actually, I think it’s hard to over-optimize with those plugins, if your on page SEO parameters are set correctly. However, it’s easy to under-optimize without them. I also did a comparison on SEO plugins and I found SEOpressor to be a much better choice than YOAST SEO which is very popular. I found that when a post was 100% optimized by YOAST that SEOpressor would still find opportunities. After my comparison I understood why Ileane recommended this plugin. Objectively it does more AND it’s not that hard to use either. Now that I see your analysis I feel that much better about using this excellent plugin. I think Yoast plugin was meant to be more of an “overall site SEO” plugin, Darnell, vs a strictly on page SEO plugin; that’s why SEO Pressor works better for on page optimization. earlier i also had used the all-in-one seo but now I think that yoast is a bit better. also can you please suggest how many number of the keywords in the meta keywords section should be okay as you had stated that they need not essentially be same as that of the keyword for the article? Personal opinion: don’t add any meta keywords or simple add your main one, but just one. I have also written a review on seopressor v5 and according to me, i have no solid reasons to switch over to seopressor as the much hyped feature of LSI keywords is nothing more than synonyms and similar words to explain that paragraph or article. Besides that it add seven new tables to your database that adds extra burden on your site and you have to reoptimise all your post as it does not have any import or export option. I agree, Rakesh – SEO Pressor does add extra load for the server, as I mentioned in the post. Once the posts are optimized, you shouldn’t have to re-optimize them, unless you are going for a different keyword. Everyone thinks that these tools will do wonders for their on-page efforts, but with basic guide lines anyone can attain a good SEO profile just by following the steps you give here. But people still pay fortunes for these products.The last time I checked they are around £60 RIDICULOUS!!! Keep up the good work Ana, excellent post. Indeed, Brett – most of these steps are very common sense and can be done with a simple checklist. On page SEO plugins offer the convenience of walking you through the steps and, if the price is reasonable (like $37 for Easy WP SEO), then I am all for it. This article and the comments are very useful as I was looking to see unbiased reviews about SEO Pressor 5 ( I guess) and I’ve also found out about EasyWPSEO. From your comments EasyWPSEO looks interesting and I might give it a go. Until now I was using Yoast’s WordPress SEO plugin to analyse on page keywords but I’ll have a look at EasyWPSEO. I also use SEO Browser that gives me an indication of how search engines see my article and SEO Quake extension for Chrome or Firefox to check out H1 and h2 title tags. PS. Ana, I really like the way you’ve polished your site and especially the sidebars. They look better than last time I’ve checked in and it seems there is no problem for you to still run your site on Thesis 1.8. I definitely think Easy WP SEO is much more thorough, Bob, but WP by Yoast is a great choice for an “overall” SEO plugin. And thanks for the compliment; glad you like my new(er) design! Yes, I am still loving Thesis 1.8 and not planning on upgrading. I’ve only recently started optimizing my posts with an SEO plugin, Ivin, so no concrete ranking changes yet, but I’ll keep watching of course. Scribe SEO probably used to be $49 per month when you got it, but the price has gone up – again. Even though it doesn’t go into as much on page SEO as Easy WP SEO, Heather, it’s still a great choice; I agree. Easy WP SEO is comfortable for work. In Easy WP SEO you can add more then one focus keyword, while Yost SEO plugin allow only one. However, both plugins are fine for on page calculations, but I would not recommend Yost SEO for XML sitemaps. Indexing pages is much faster with “Google XML Sitemaps” plugin. I’ve been using WordPress SEO by Yoast for a long time. But honestly, I don’t focus a lot on on-page SEO at this moment. Especially since I’m not allowing multi authors yet. I still use Scribe but have to use the web based version as I have a plugin conflict. Disabled SEOPressor after a few days as it skewed how one of my posts looked… will check out Easy WP SEO. I keep Easy WP SEO disabled unless I am optimizing a post, Sarah; just in case it decides to interfere with other plugins. That’s another reason I like it: it doesn’t need to be always on for certain features to work. Great overview, Ana. I used SEOPressor back in the day but switched over to EasyWPSEO last year. Turns out that they calculate keyword density differently: SEOPressor doesn’t consider your keyword as part of the total word count while EasyWPSEO does. That can give you significantly different keyword density estimates! (And thanks for mentioning my post in your article!). And thanks for the additional info on the keyword density.